Bloomberg's Sustainable Business Summit will bring together C-suite executives, influential investors, and innovative thought leaders to discuss how companies are using sustainability as a driver of business value. This unique series uses Bloomberg’s business and financial expertise to convene insightful, data-driven conversations on how sustainability connects to the global economy. Joop Hessels, Executive Director, Head of Green Bonds, ABN AMRO Bank N.V.
Find more information about the summit, and request an invitation here. Our co-founder and director Josée van der Hoek will be attending the event and is interested in sharing thoughts with you on how to accelerate sustainability in your business. 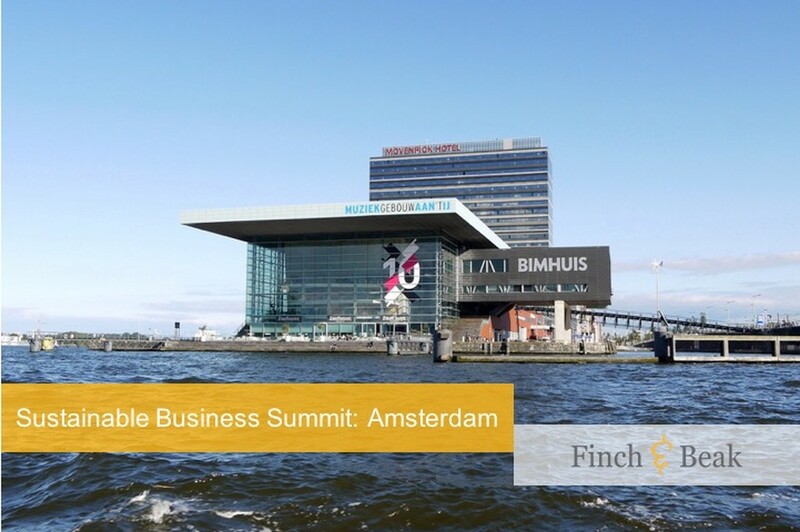 Please feel free to contact Josée at josee@finchandbeak.com to touch base in Amsterdam.